No one plans on getting arrested or having their loved one arrested. Sometimes, bail bond payments plans can help. Let us pay your bail giving you time to come up with the fee. Few are able to post the 100 percent of the required cash upfront, post a property bond with sufficient equity, or get out of jail without bail on “own recognizance.” The vast majority of those arrested in Tulsa and throughout Oklahoma will have need of taking out a bail bond to get out of jail before their arraignment. Bail bonds in Tulsa normally require a fee of 10 percent of the total bail amount. At Signature Bail Bonds, a 20% discount is available for some bonds. Ten or eight percent may not seem like a huge number, but it can be hundreds or thousands of dollars on a large bond. Signature Bail Bonds can help with simple bail bond payment plans. Getting financing to pay for a bail bond premium may be next to impossible if you go to an ordinary bank or other lender, but most bail bonds agencies offer in-house bail bond financing. Not all bail bonds companies, however, offer truly affordable financing that is available to virtually everyone. At Signature Bail Bonds, we always work with you to find a bail bond payment plan that works for you. Discounts in some cases: lowered premium for more secure bonds. Our easy Tulsa bail bonds require the least to put down on bail bond financing. In some cases, you need to put half down, but with good credit or security, you can put little to zero down. Zero interest, depending on the credit history of the co-signer and other factors. 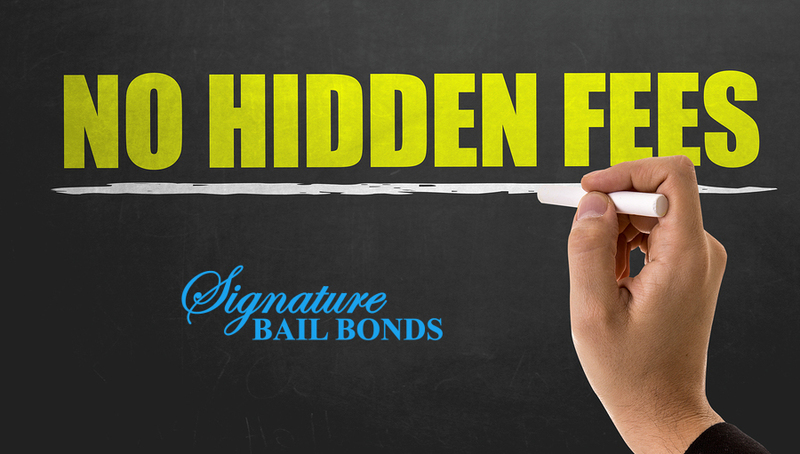 No extra fees for our bail bond financing service. Numerous payment plan options to ensure that you can afford the payments. Multiple payment options: cash, check, credit, debit, auto-pay and more. Signature Bail Bonds provides the low down payments for bail bond financing. We also offer extremely flexible and affordable bail bond payment plans. Also, your Tulsa bail agent will typically not require collateral. Typically, only the signature of the co-signer is needed to secure the bond and the financing. In certain cases, such as very large bail bonds or where there is a high risk of flight or default, we may require some form of collateral. If so, we will work with you to arrange a workable agreement. At Signature Bail Bonds, we can arrange your bail bond paperwork in only 20 to 30 minutes and post bail as soon as the arrestee is fully booked to get you or your loved one out of jail in as little time as possible. We can provide you with easy Tulsa bail bonds that are not out of reach to those who can’t pay the premium in full upfront. To learn more, call us 24/7 at 918-SIGNOUT or apply for a bail bond online.